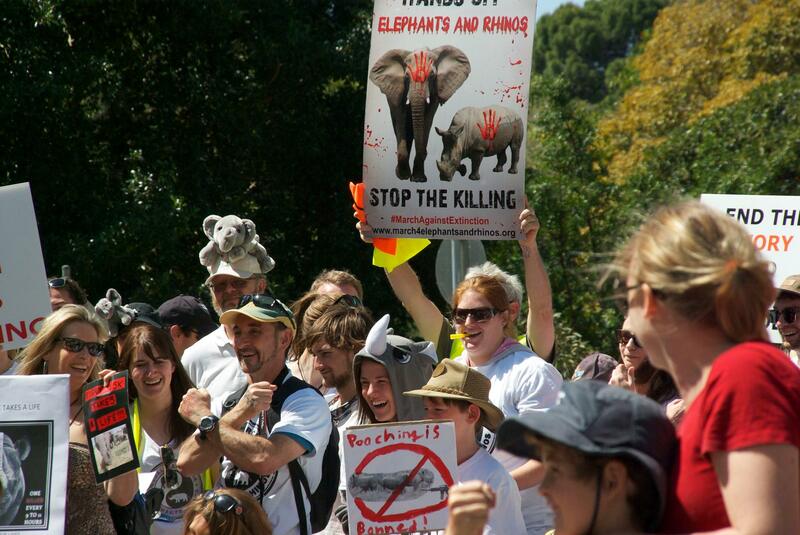 On October 4th 2014 people from over 130 cities around the world marched to raise awareness for elephants and rhinos. Some horrifying statistics – over 35,000 elephants and over 1,000 rhinos are slaughtered each year for their ivory and horns. This is a tragic state of affairs. 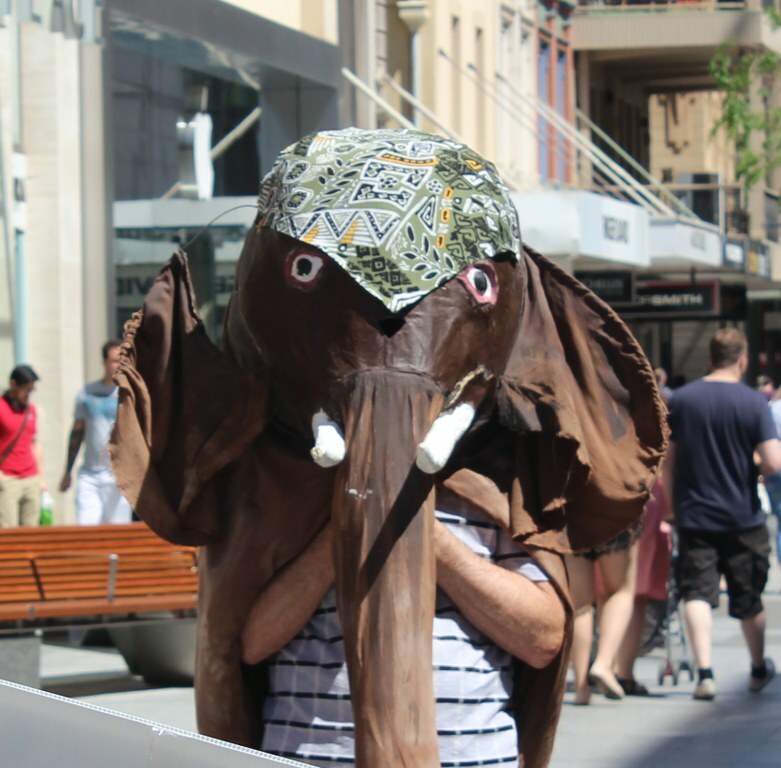 I took part in the Adelaide walk which, despite the topic, was a good natured walk where like minded people got together to do something. When we are asked why elephants and rhinos (and other species) should be protected we try to justify things by placing an economic value on them – such as the revenue they bring in through tourism and the iconic status they give host countries, but how about these three reasons? They have as much right to be here as us! 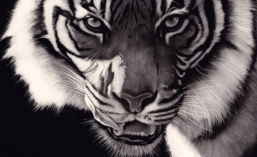 They are large animals, and that means if we protect them in parks, they need large tracts of land and this in turn protects huge numbers of other species! We adopted the slogan “Not on our watch” meaning we are going to be part of the change that needs to occur in the mentality of this greedy world. 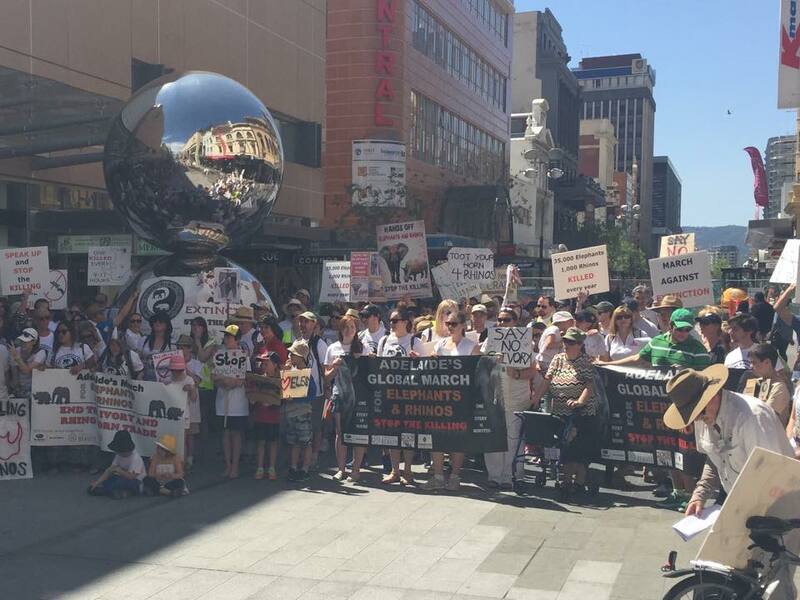 There were a few hundred of us and here are a few photos from the march in Adelaide. And here I am reflecting in the balls. Talking of balls (and not trying to be too crude), for some reason some very stupid people in some countries think that rhino horn taken in powdered form increases one’s sexual prowess. I could cut my fingernails and sell that to them – it’s basically the same stuff! That way I could live and get rich and the rhinos could also live. 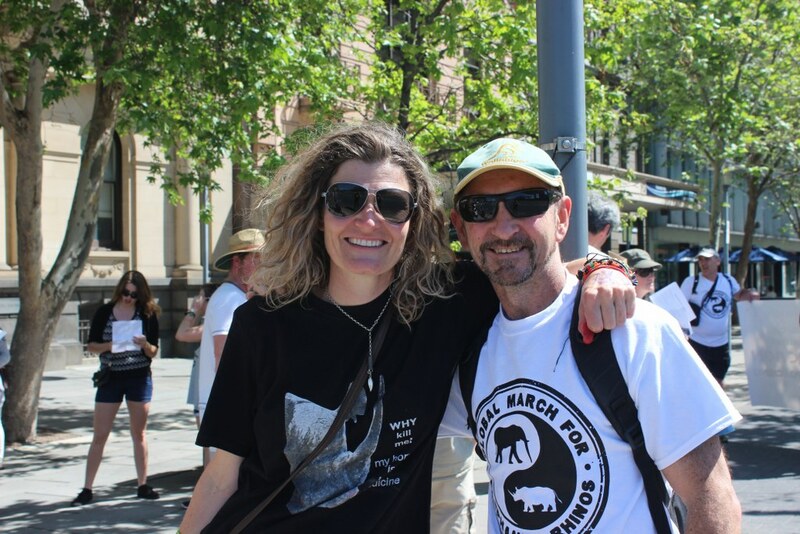 Here I am with Emma Still who has organised art exhibitions which I have supported for a few years, proceeds going to painted dogs in Africa. Emma’s an awesome person!! 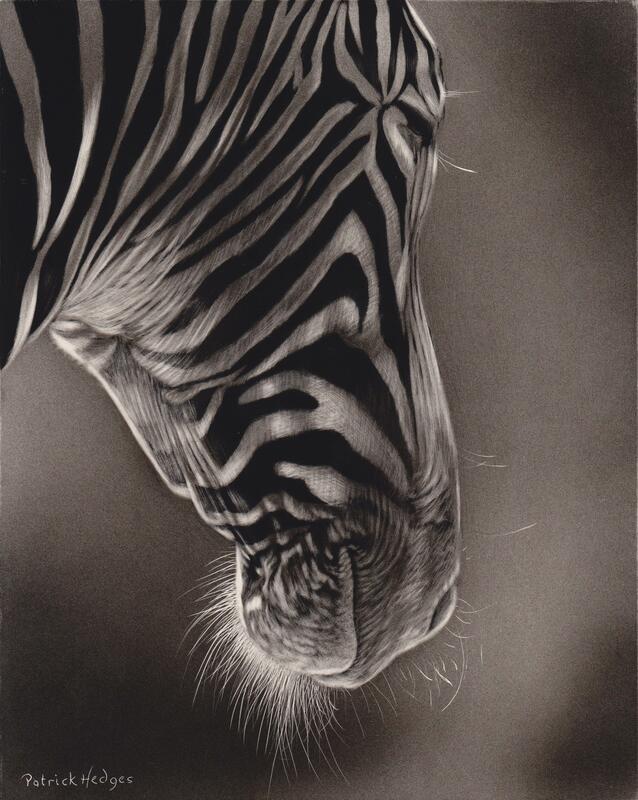 And finally, here’s my latest piece of art, a scratchboard of a zebra done at a demo I did for the Pastel Association of South Australia.